At 3,676 meters high, Mt. Semeru is Java’s highest mountain. It sends up a column of thick smoke at a regular interval of five minutes. 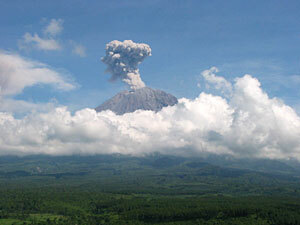 An active volcano, it is known for its breathtaking views of the sunrise, the sunset, and the volcano’s crater. There are special ceremonies held at the top of Mt. Semeru on Independence Day and on Heroes Day. This mount also often visited by many climbers and adventurer. They can enjoy the beautiful of Semeru scenery and get special experience of climb.